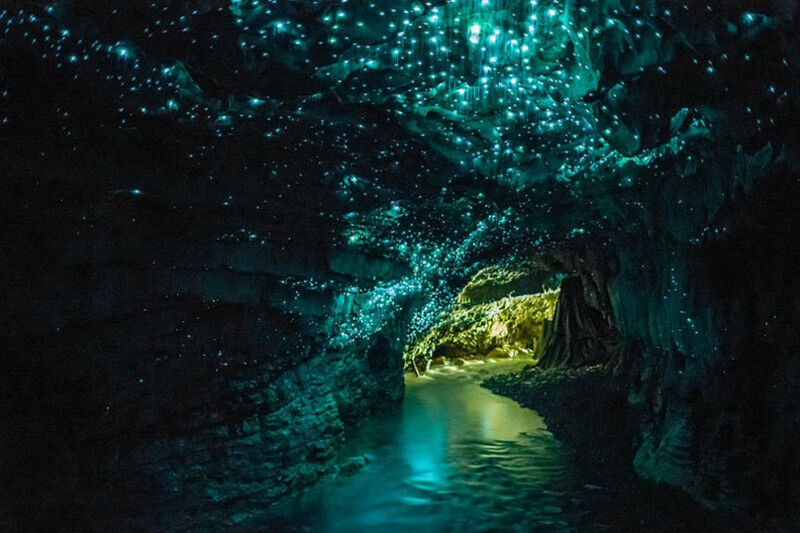 Deep underneath the hilly landscapes of North Island, New Zealand is hidden an amazing cave lit with glowworms. 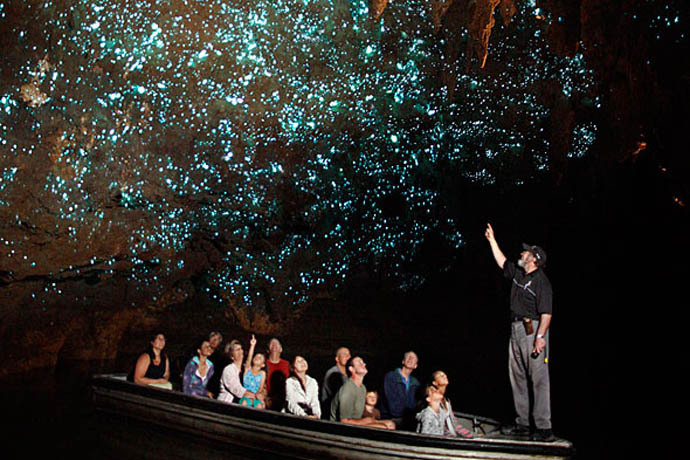 The Waitomo Glow-worm Cave is home to thousands of glow-worms that light up the cave ceiling like a starry night sky. 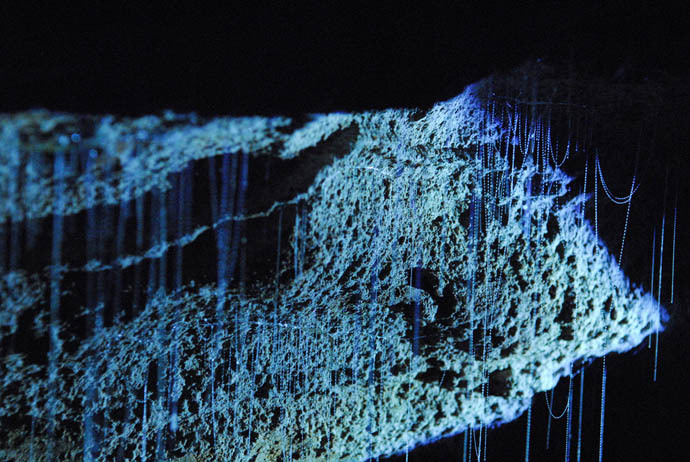 This species of glow-worm, Arachnocampa luminosa, which is found exclusively in New Zealand, emits a blue-green glow that illuminates the underground cave river. Though, the glow-worms aren’t really glow-worms. They’re fly larvae. And what causes the glowing? Excretory organs. These insects produce a silk-like thread used to trap flies and other bugs for them to prey on. And the hungrier they are, the brighter they glow. 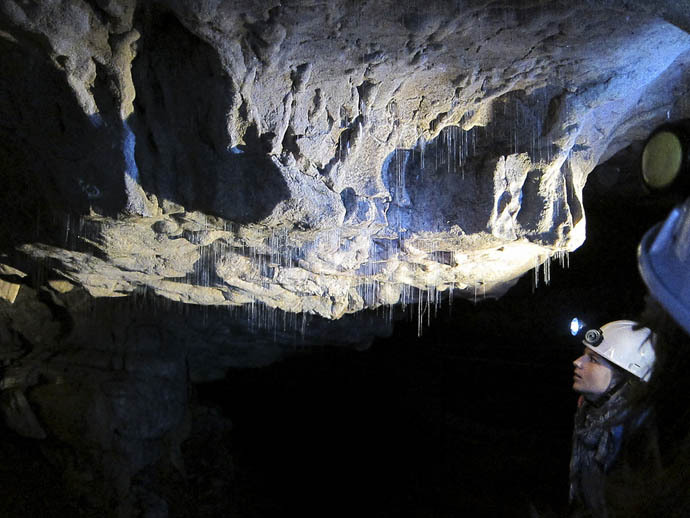 The cave system was first extensively explored in 1887 by English surveyor Fred Mace and local Maori Chief Tane Tinorau. However, the local Māori people had known about the caves for quite some time. Tourists started visiting in 1889 when Tinorau and his wife began leading tours. 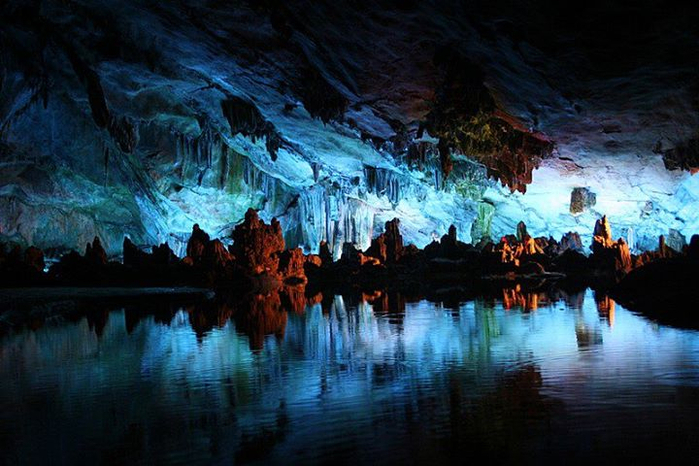 Today, many of cave guides are descendants of Tinorau and his wife. 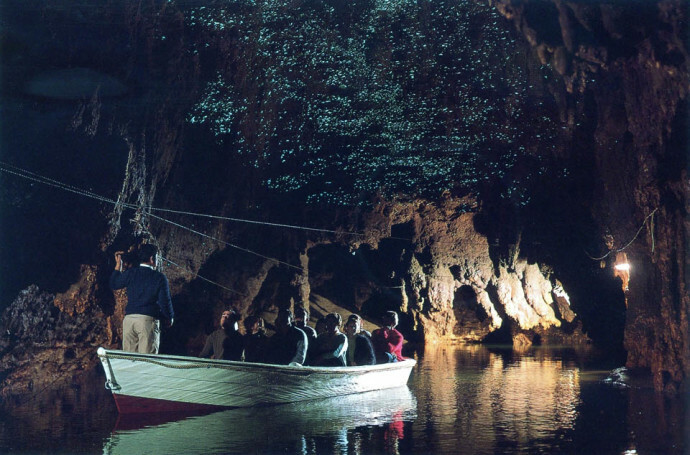 Location: The Waitomo Glowworm Caves are located in the southern Waikato region of the North Island of New Zealand, 12 km northwest of Te Kuiti. – via whenonearth.net, atlasobscura.com and presurfer.